Questions not addressed (yet) in our FAQs should be submitted to Frontier Tactical directly, where we will do our best to answer them. Please keep in mind that while every reasonable attempt has been made during research, engineering, manufacture and testing to answer all questions about our products, we are charting new territory in the AR platform. Your assistance and your patience is appreciated! Q: Will the War Lock™ work on my AR-15? A: Frontier Tactical™ has made every effort in the design and engineering process to make the War Lock™ as modular and versatile as possible. It is, unfortunately, nearly impossible to design our product to work on every AR platform available on the market today. 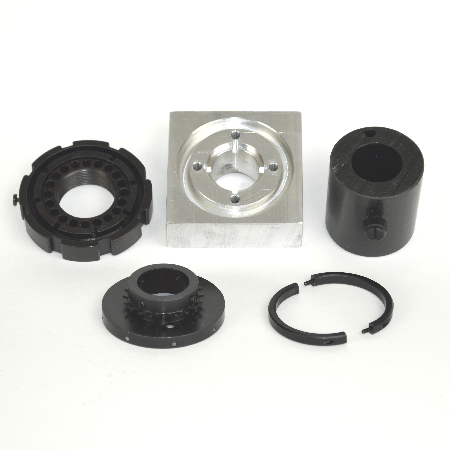 There are numerous manufacturers using proprietary and/or non-standardized components that have a wide range of tolerances. With this in mind, we have aimed to make the War Lock™ compatible with the vast majority of AR rifles, carbines and pistols. Any mil-spec AR should have no problems working with the War Lock™. Any mil-spec components should also perform without issues. Many of the billet upper receivers we have tested will work without issue. We have not tested “specialty” lowers or uppers (carbon fiber, polymer, etc). Due to the War Lock™ system joining the market so recently, we would love your feedback and suggestions regarding improvements and your experiences. Our community and customers are our focus. Your input will help us immensely to continue our improvement in serving your needs better. Q: What calibers does the War Lock™ work with? A: Any barrel calibers that will normally fit a non-proprietary AR-15 with a standard barrel should work with the War Lock™. 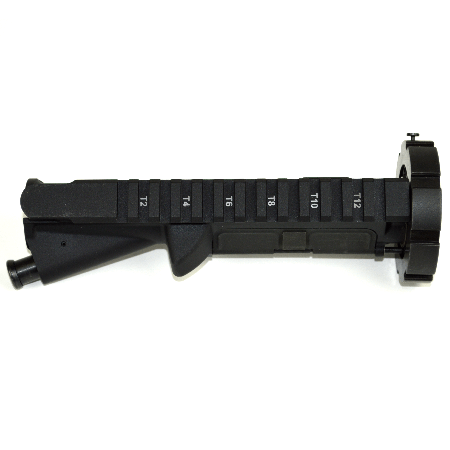 Our system is designed to interchange barrels that would normally be affixed to a dedicated upper. The War Lock™ removes the requirement for a dedicated upper being used solely for one barrel. The War Lock™ maintains the tolerances and capabilities found on mil-spec AR rifles and pistols, without the limit of a barrel permanently fixed to the upper. The War Lock™ is not designed to work with barrels that do not utilize mil-spec gas systems (such as barrels designed for bolt action or pump action only). User assumes all risks for installing the War Lock™ on systems that are not mil-spec. Q: Can I install the War Lock™ myself? A: Customers who are experienced in building AR systems from parts should have no problems with the initial installation of the War Lock™ on their own rifle or pistol. After initial installation is completed, the War Lock™ can be used by the operator. It is generally recommended that inexperienced customers, or those who do not feel comfortable with the initial installation to seek the services of a qualified and competent gunsmith or armorer. Certain special tools may be required. Review the installation instructions and assess your skill level and confidence to decide if professional installation might be necessary. Please read and understand the installation instructions before attempting to install the War Lock™. This will generally prevent you from needing to contact Frontier Tactical™ for support. The Installation Instructions can be found in the Owner’s Manual. Q: Will the War Lock™ affect my barrel headspace? 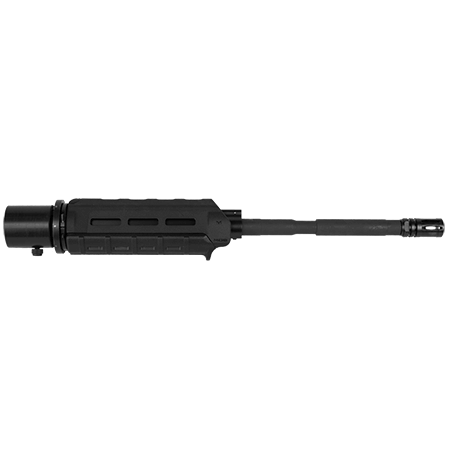 A: The headspace of a mil-spec AR is set by the relationship between the bolt and the barrel extension. It is not affected by the installation or use of the War Lock™. Frontier Tactical™ recommends that owners perform safety checks and headspace gage confirmation before firing any new barrel/bolt/upper combination. This is to ensure that there are no potential headspace issues that were not caught by other product manufacturers. Q: Do I need to re-zero my AR every time I swap barrels? A: Since changing barrels is usually performed to shoot a different caliber, re-zeroing is one of the first questions we are asked. The ballistic characteristics of differing loads, projectile weights, twist rates and other attributes virtually guarantees that changing barrels will result in the point of impact changing. During testing, we observed that switching between 5.56mm NATO, 7.62x39mm and .300 AAC Blackout produced a changed point of impact for each caliber. At 25 yards from a standing position, using an Aimpoint reflex optic, the three different calibers all printed within an 8” diameter encircling the bulls-eye. In addition, we have tested 12 calibers that ALL printed within that area. It is our opinion that re-zeroing completely is not actually necessary. Shot confirmation can be checked relatively quickly with such a close shot group from caliber to caliber. Additionally, we have been successfully “counting clicks”, and utilizing “holdover” techniques with our optics and found it to be reliable; since our system retains zero between barrel changes for individual calibers. Q: Isn’t it cheaper to just buy complete uppers? A: We’ll begin by making the assumption that you are not getting parts and components at a wholesale/distributor price. We know that if people take the time to look around, they will notice a couple things. First, the selection of complete uppers available is nowhere near the 90+ that we are working on bringing to market. Second, as people start pricing complete uppers for specialty calibers (.450 Bushmaster, .458 SOCOM, .50 Beowulf, etc), they see where the extreme $$$ savings comes in. As consumers get outside the common 5.56 NATO, .300 Blackout, 7.62x39mm, etc. complete uppers, their sources tend to run out of choices. So the person that assumes they can get all of their uppers in different calibers for the same price as a BASIC level 5.56 NATO (their price they usually base all the math on), they quickly find out our system pays itself off very, very early. 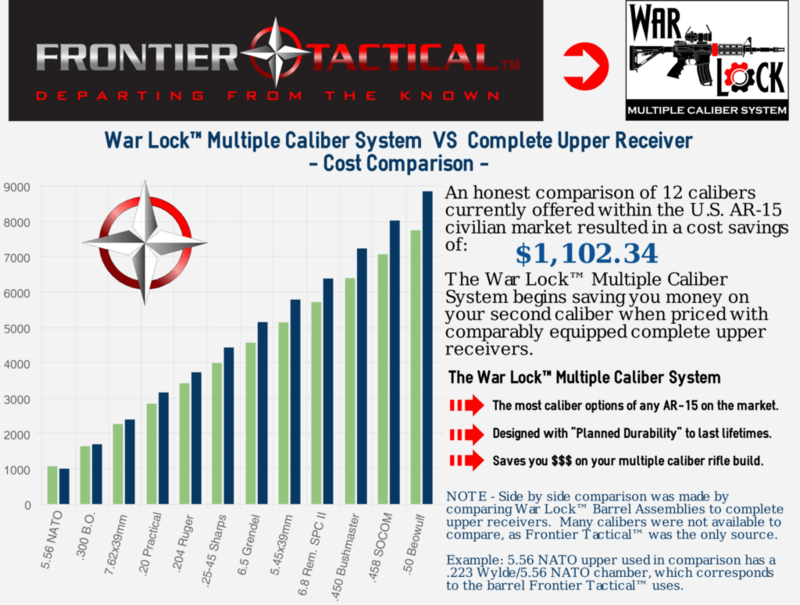 Doing our own market research we found that comparative builds using standard “complete uppers” vs. the War Lock™ Multiple Caliber System resulted in savings starting at the second caliber. Your “mileage may vary” based on the numbers and figures you use. Q: Isn’t using a complete upper better than swapping barrels? A: Truthfully, unless you are competitively, bench-rest, long range shooting, any accuracy difference is going to be negligible for the average shooter. What is usually ignored by those that tell us “they’d rather have a complete upper for each caliber”, is that they are frequently forgetting the optic they will use for each caliber. Are they going to purchase multiple optics for multiple uppers? Are they going to switch that optic to their upper in a different caliber? That’s usually after they have said re-zeroing the optic is a negative factor with our system; and left out the massive cost of multiple optics for each separate upper. Q: What bolt do I need for my chosen caliber? Q: Is the War Lock™ right for me? A: The War Lock™ is not a perfect solution for every AR shooter. Competitive, bench-rest, long range shooting is not what the War Lock™ was designed to excel in, though we have been receiving astonishing data back from testing. If you want the capability to quickly switch calibers in a field environment, conserve your money on multiple AR builds, more effectively clean your firearm, secure and transport your full-size AR-15 in a smaller storage area, the War Lock™ is a solid choice. Unlock dozens of calibers and transform your AR into a modular system that is equipped to accept the next generation of components. Q: How can .22lr be fired through a 5.56/.223 barrel? A: We get this question a lot. A rifle barrel uses lands and grooves to stabilize a bullet. In a 5.56 NATO/.223 Remington barrel, the bore (groove) diameter is .224″ and the land diameter is .219″ (both measurements are an average between different manufacturers). The .22LR bullet is .223″-.224″ (average outside diameter). It is also usually solid lead or copper washed lead. The extreme heat and pressure result in this smaller, softer bullet expanding into any .001″ difference, ensuring that it does not “bounce down the barrel”. We can change the barrel by using our War Lock Multiple Caliber System. The War Lock replaces the standard barrel nut on an AR-15. 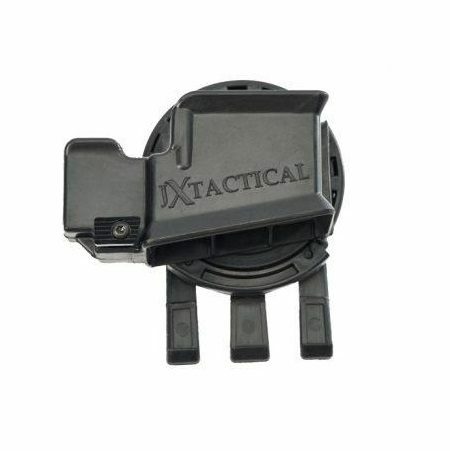 Q: When installed, how much weight does this add to the rifle (installation of the the kit being the only change)? A: The actual weight of the installed standard War Lock components is .69 lbs/11.04 oz. The standard Delta Ring components are .125 lbs./2.4 oz. So the difference when you remove the Delta Ring/Barrel Nut/etc and add our system becomes an additional .54 lbs/8.64 oz. Q: If I want to run freefloat rails, what are the compatible options? A: This is probably one of the more difficult questions to answer. When considering how freefloat rails are connected to the AR15 platform, every engineer out there has a “better design”. This is where “mil-spec” would be a nice standard to follow. To determine if a rail will be compatible, we want you to know the important dimensions for our FS adapter. 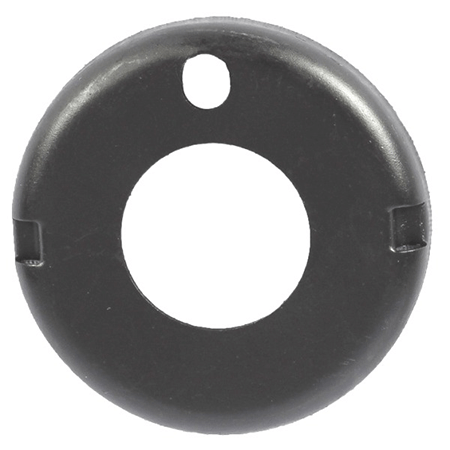 The outside diameter of our adapter (where the rail slips onto) is 1.350″. The length of that section is 1.250″. There are two threaded holes into our adapter; one at the 3 o’clock position, and one at the 9 o’clock position. These holes are threaded 1/4-20 for attachment bolts. 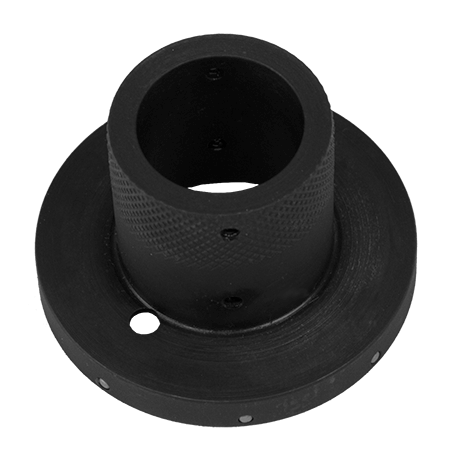 The bolt holes are 5/8″ (.625″) forward from the face of the FS barrel adapter (the rear of the rail). This design was made to facilitate the largest number of aftermarket rails to work with our FS adapter. The bolt option was added when we found that standard “clamping” versions were prone to rotate or move forward on our older knurled-only adapter. Even if your rail does not have holes for mounting to our adapter, the user has the option to drill a hole in each side of their rail to bolt to our adapter. While it may not be preferable, the option now exists.